We are proud of the high quality of our services, and we work hard to continuously evaluate and improve them. Our people contribute a diverse range of experiences and knowledge to the organisation. As a team, we are passionate about disability support and advocacy. Jennifer became the Chief Executive Officer of Scope in January 2012. Jennifer’s value-driven approach has led her to work in the disability, health, aged care and community sectors for more than 30 years. Jennifer has a Bachelor of Applied Sciences (Physiotherapy), Graduate Diploma of Physiotherapy (Neurology), a Masters in Business Administration and a Doctor of Physiotherapy. 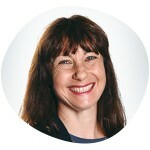 Jennifer is Deputy Chair of the National Disability Services, Victorian State Committee. 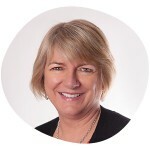 She is a Director of Ability First Australia and Chair of Cerebral Palsy Australia. Ian joined Scope in 2011 as Chief Financial Officer. He is a Chartered Accountant with a Bachelor of Science (Honours) in Physics and has 20 years experience in CEO and CFO roles within public and private organisations. Ian is a member of the Institute of Chartered Accountants Australia and the Institute of Chartered Accountants in England and Wales. Ian’s experience helps to position Scope as a leader in delivering services in a sustainable and competitive marketplace. Peter joined Scope in July 2013. Peter has more than 20 years experience in corporate development with a number of leading Australian companies and multi-nationals including NAB, Standard & Poor’s, Village Roadshow, Spotless Group and AWB Ltd. Peter holds a Bachelor of Commerce (Honours) and a Master of Commerce (Honours) from the University of Melbourne. Peter is committed to supporting the continued growth and development of Scope. Phil joined Scope in November 2018. 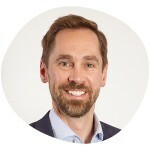 Previously the Enterprise Talent and Culture Lead at the Schiavello Group, his experience includes the delivery of workforce integration on a national level, capability and cost reduction programs, organisational redesign and productivity initiatives and management of various training projects covering organisational development, change, diversity and wellbeing and safety. 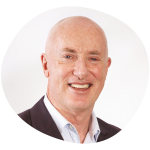 Over the last 10 years, Phil has held senior People and Culture roles in Newcrest Mining, Iron Mountain and Visy Industries. He believes strongly that Scope can continue to build a workplace which encourages and celebrates teamwork and development as core aspects of our progressive culture. David commenced with Scope in 2007 and in his role as Manager, Information and Systems he has been pivotal in delivering several major ICT initiatives. 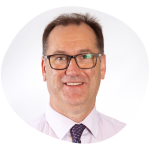 Before joining Scope, David gained a breadth of experience across a range of sectors and industries including wholesale, retail, automotive, government and healthcare in both the UK and Australia. Managing the development of Ford Australia’s first Customer Relationship Management system (CRM) along with several other large scale ICT transformations, David has the skills and experience to take Scope into this next critical phase. Julie joined Scope in October 2016. 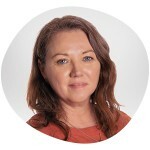 She was previously the National Manager of Quality & Risk at Headspace, where she led a range of quality and risk projects and programs across 80 centres. Julie has guided organisations, sectors or whole-of-government through large scale complex change management programs in response to changes in government policy or market conditions. Julie is driven by a passion for creating outcomes for people in vulnerable circumstances, well aligned to Scope’s mission and values. Jenni joined Scope in 1993, and has worked in a range of management roles covering all areas of service delivery. She has a Diploma of Primary Teaching, Graduate Diploma of Special Education, Diploma of Business – Disability and is a member of Disability Professionals Victoria. Jenni places a high value on the Scope Approach principles and takes a proactive approach to the health and safety of Scope staff and the people we support. 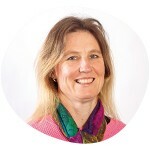 Anne joined Scope in November 2016. She is an experienced executive leader, with a strong background in health and community service sectors. She has a Graduate Diploma of Business (Health Services Stream) and a Master of Business Leadership. Most recently she was the Director Community Health Services of ISIS Primary Care, leading a range of services including allied health and disability services. 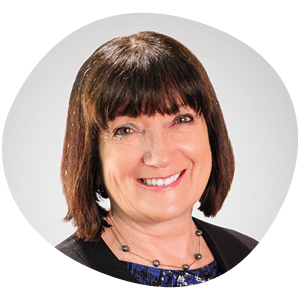 Anne is passionate about building positive and participative culture in organisations. She has steered teams through times of transformation and challenge, and created effective partnerships to collaboratively address community need. Charlotte Joined Scope in December 2015. 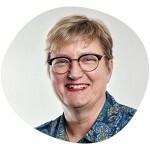 She was previously the CEO of DASSI (Disability Attendant Support Services Inc.) where she led the successful merger of DASSI and Independence Australia which took effect earlier this year. 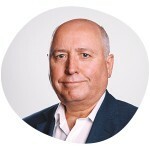 Prior to that, Charlotte was the Chief Executive Officer of the Magistrate’s Court of Victoria between 2007 and 2012, following a stint as Executive Director, Operations with the Federal Magistrates Court. Charlotte describes herself as a New Zealand born Australian, cat and dog lover, and tennis tragic with a passion for human rights and social justice. Denise joined Scope in 1986. She is a qualified speech pathologist with over 32 years’ experience working with adults who have complex communication needs. She pioneered the development Communication Access Symbol and accreditation, and the establishment of the Non-Electronic Communication Aid Scheme (NECAS). Denise’s vision is for people with communication difficulties is to be “heard” and have the same opportunities in life as everyone.